Police in Brussels are working to confirm their involvement in the bombings. Belgian authorities are working to determine if one of five men they arrested today was the so-called "man in the hat" seen at the scene of the Brussels airport bombing. Authorities arrested several men today and have identified three. The first is Mohamed Abrini, who authorities say may be the third airport bombing suspect. His DNA was found in several locations, including in an apartment used by the Brussels airport terrorists to make bombs and in one of the rental cars used in the deadly attacks in Paris in November. Abrini was seen at a gas station hours before the Nov. 13 Paris attacks with Salah Abdeslam, one of the men allegedly involved in the attacks. Abrini and Abdeslam rented an apartment in Alfortville used by the attackers before the Paris attacks. (CCTV/Belgian Federal Police/Handout via Reuters) A man whom officials believe may be a suspect in the attack which took place at the Brussels international airport of Zaventem, is seen in this surveillance image made available by Belgian Police, April 7, 2016. The second individual was identified as Osama K. Investigators are working to determine whether he was the second subway suspect. Osama K was known by European investigators to be an acquaintance of Abdeslam. On Oct. 3, more than a month before the Paris attacks, he was picked up by authorities in Germany in a rental car and brought back to Belgium. The third person was identified as Herve B.M., but no further information was given about his alleged involvement. Belgian authorities did not provide the identities of the other two suspects in their custody, only noting that they had been arrested with Abrini. The coordinated bombings on March 22 at the Brussels airport and the Maelbeek subway station in downtown Brussels killed 35 people and injured more than 300. These arrests come one day after Belgian police asked for the public’s help in finding the third man pictured alongside the two suicide bombers from the airport. 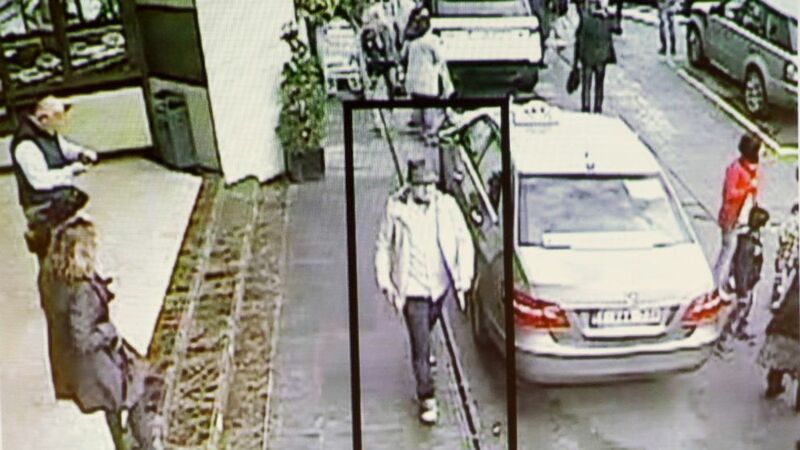 This man, who has not been identified, was shown on camera fleeing the airport after the attacks. Police have not confirmed if today’s arrests are connected to that man.